Turn your TV or computer into an awesome aquarium. Filmed at the Sydney Aquarium in Australia, you .. This album is a rich collage of rainforest atmospheres from around the world. Enjoy listening to mor..
Birdsong Concert lets you listen to the naturally relaxing sounds of morning birdsong, carefully rec..
Is there anything more soothing than calm ocean waves, rolling steadily onto the shore? The sound of..
A day in the life of cats and kittens: one minute on the prowl, the next one playing with the autum..
Get to know the Sounds of the Earth series and listen to two minute segments from 23 different album.. This album is divided into two parts: Above the Waves and Below the Waves. On the first part you hea.. 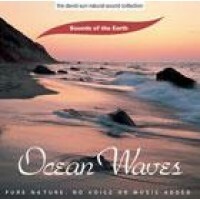 Stunning imagery above and below the waves and wonderful nature sounds. The film has been shot in w.. The birds in the trees are preparing for the night. Their songs are turning ever so slowly into sile.. In the Exotic Paradise all creatures live together and never fear. Where raging waves come to a calm.. Featuring the joyous sounds of the forest on a quiet autumn day. You hear birds chirping, a friendly.. It is summer in the forest and the leaves are green. Birds are singing and you hear the water danci.. The ceaseless croak of frogs creates an immensely penetrative and authentic environment. Revisit hot..
Horses are considered the noblest and most intelligent of animals. In oriental astrology the horse .. Listen to the song of the humpback whale swimming near the surface. Deep echoes rise when the whale ..